Waterville plastic bag ban opponents are asking the city to scrutinize the voter registrations of 75 Colby College students whose ballots have been challenged. Shawn Caron and Cathy Weeks of Waterville and Mark Andre of Oakland on Thursday filed an appeal with the Waterville Voter Registration Appeals Board asking the panel to determine whether the 75 registrations corrected after the election were legitimate, according to the Waterville Morning Sentinel. Those were among 164 ballots from Colby College students challenged after the November election because they used mailing rather than physical addresses, the Sentinel reports. 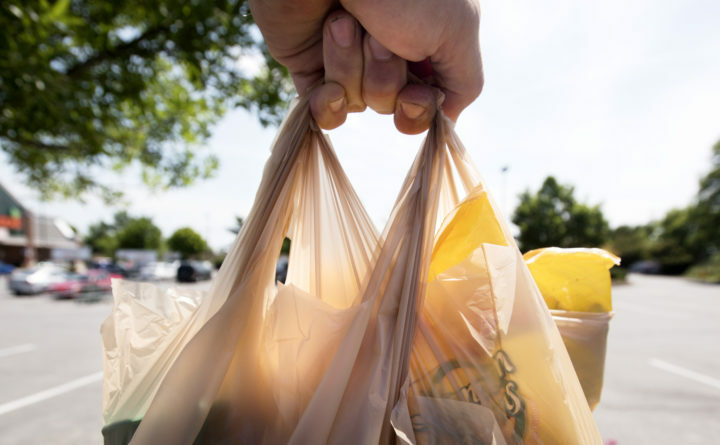 The referendum would prohibit businesses 10,000 square feet or larger in size from handing out plastic bags to shoppers. Voters approved the bag ban 3,052 to 2,906 in November, but Waterville Mayor Nick Isgro challenged the results, saying they were skewed by Colby College students. Those 164 ballots were set aside during the subsequent recount that overturned the results, with 2,911 approving the ordinance to 2,918 disapproving. The challenge to the Colby College students’ votes was appealed to the Maine Supreme Judicial Court, but it dismissed the case on Tuesday after the challengers missed a filing deadline. The 164 disputed ballot were to be returned to the citywide count, likely overturning the results, again. The controversial bag ban was scheduled to go into effect on April 22, which opponents have asked to be put on hold, according to the Sentinel. Waterville City Solicitor William Lee told the Sentinel that that the appeal process will involve individual hearings before the panel for each voter whose registration has been challenged. Lee told the newspaper that the original opponents — Caron, Weeks and Jonathan Weeks — will need to resubmit their appeal and that Andre has no standing to file an appeal since he isn’t a Waterville resident and his name will need to be removed from it.